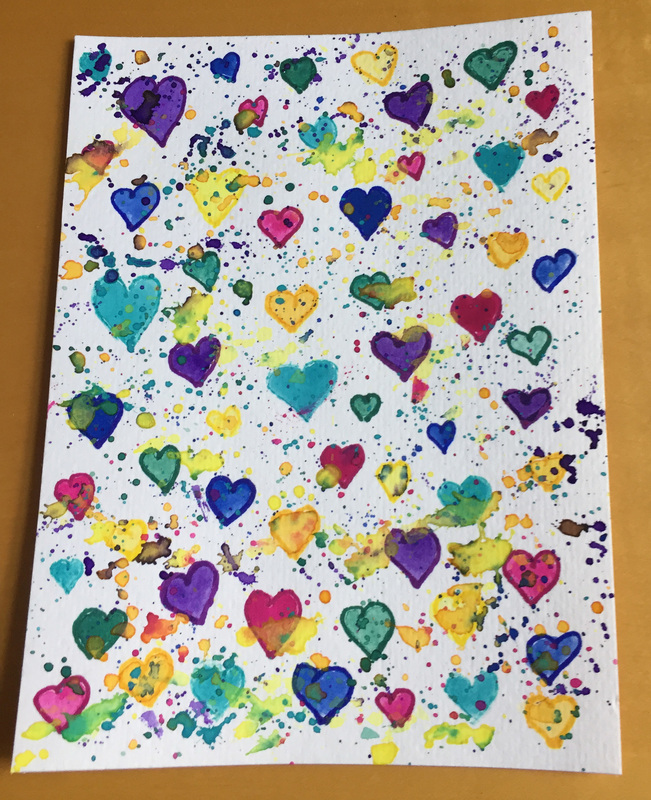 Hearts with Colorful Paint Splatter is another example of me experimenting with water colors. This design is a combination of water colors and markers. 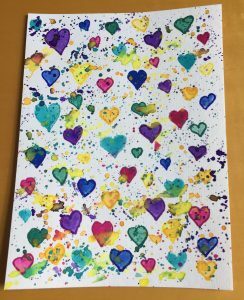 The hearts themselves are done in water color paint and their matching outlines were done in markers. The reason for this is that when I made the hearts, it seemed like they needed something more. Plus, since I bought a huge pack of colorful Sharpies, I’m always looking for an excuse to use them! The paint splatters were not suppose to be part of the original piece. The paint splatters were a result of me accidentally spattering paint on the corner of the piece. Luckily it seems to have worked out for the best! This design is available on a variety of products on Zazzle, Red Bubble, Imagekind and Society6. Has something you done been made better by a happy accident? Let us know in the comments! 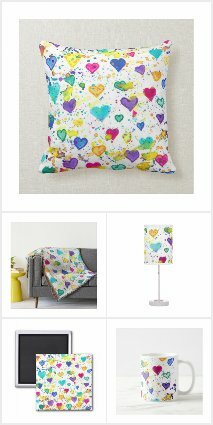 This entry was posted in The Story of... and tagged artist behind the scenes, blue heart, green heart, heart background, heart home decor, heart symbols, hearts, hearts with paint splatters, Imagekind, love, paint splatter, pink heart, purple heart, Red Bubble, Society6, water color, yellow heart, zazzle by Valerie. Bookmark the permalink.